Layton Stone is a 100% family run, owned and operated monumental stone business. Our Sunshine location was founded in 1956 by Ron and Des Layton with the purchase of a block of land and a gang saw. In 1964 they purchased a quarry at Harcourt. This enabled them to own and quarry their own granite. Des left the company in 1978 leaving Ron to keep the business going. Not long after his son, Peter, joined the family business and in 1984 Peter started working at the Sunshine factory. Ron Layton has since semi retired becoming a Layton Stone consultant and Peter is now managing director of one of the biggest family-owned stone companies in Australia. 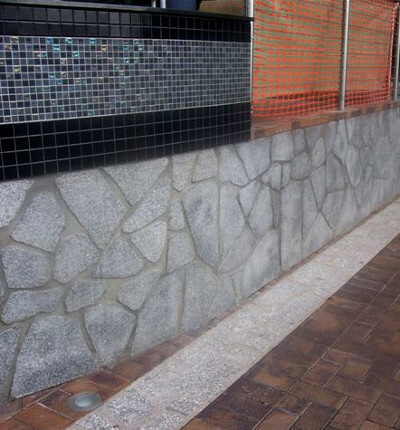 With the acquisition of a sandstone quarry west of the Grampians, working with Victorian Bluestone and Granite from home and abroad, Layton Stone is able to meet the needs of any stone project big or small, throughout Melbourne, Victoria and Australia.